Length range 25" to 30"
Width range 12" to 17"
Height range 10" to 15"
Create you own small size trunk within these external measurements. Ideal for getting the right size trunk for the back of vintage automobiles and classic cars. In a choice of our 17 leathergrain colours. It is important to read 'More Info' on this create your own size trunk before adding to your basket. Constructed from the highest quality 5.5mm plywood, which is bonded to a choice of coloured durable leather-grain effect PVC vinyls. With strong robust aluminium edging and silver coloured fittings. Colour choices include:- Black, Navy Blue, Royal Blue, Dark Green, Red, Pink, Burgundy, Charcoal Grey, Yellow, Orange, Purple, Lime Green, Brown, Stone Cream, White, Fluorescent Pink and Fluorescent Yellow. Please enter the colour you require in the Product Customization 'Tab' above. Please note- trunk size indicates total exterior size including handles/ catches which may protrude from the surface of the trunk. Trunk body length/width is expected to be approx 1 inch smaller. A central cabin lock supplied with two keys, which is also padlock-able and two further pad-lockable catches all silver in colour. Two rubber grip carry handles (one to each side) and eight corners, all silver in colour. The lid will be hinged using silver stay hinges to support the lid upright when open. 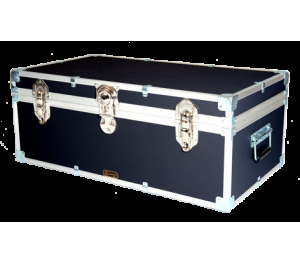 The number of hinges will depend on the length and size of the trunk. The interior will be paper lined. Free UK shipping. Made to order and delivered within 14 working days. Our Mossman Price Promise guarantee's that no other UK Manufacturer can match our quality or price on a like for like basis. A selection or Padlocks, Vinyl Cut Lettering and other accessories are available to buy on our website. Click on the Accessories 'Tab' above to see the perfect accessories for this Trunk. Fit corner wheels to pull your trunk along with ease. Suitable for all Mossman Trunks 30 inches in length and over. Embossing. 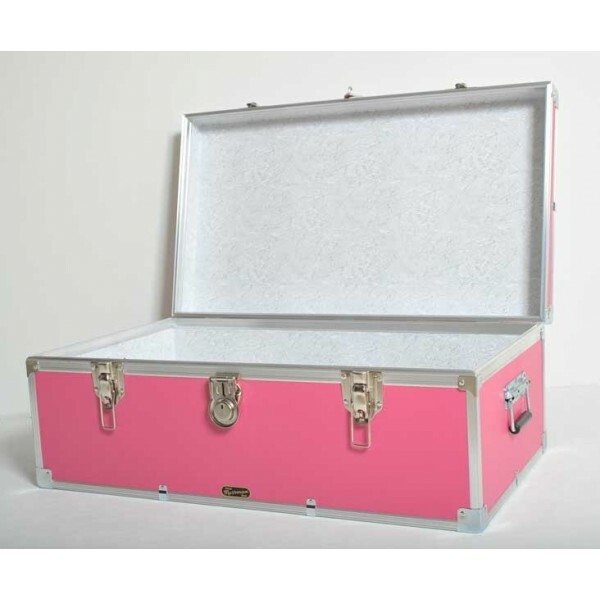 Personalise your Tuck Box or Trunk by adding up to 4 pressed letters or numbers to your trunk. We can emboss your trunk either to the front bottom right-hand corner, or central on the lid. CAPITAL LETTERS A to Z and numbers 0 to 9 available only. Have 4 rubber feet fitted to the base of your trunk. Ideal for ensuring your trunk does not slip on flooring and avoids scratching wooden floors. Recommend if you are using your trunk as a piece of furniture within your home. Double strength base, ideal for sitting on, especially when feet are fitted. 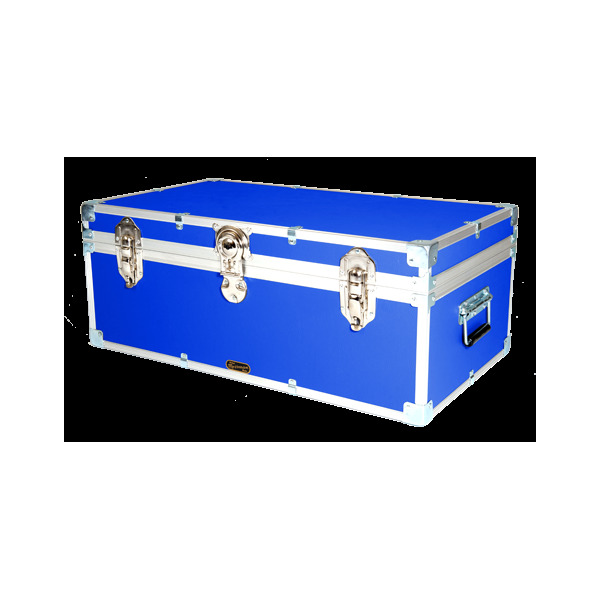 All Mossman Trunks benefit from having a double strength lid if they are going to be sat on or stood on by a child or adult. 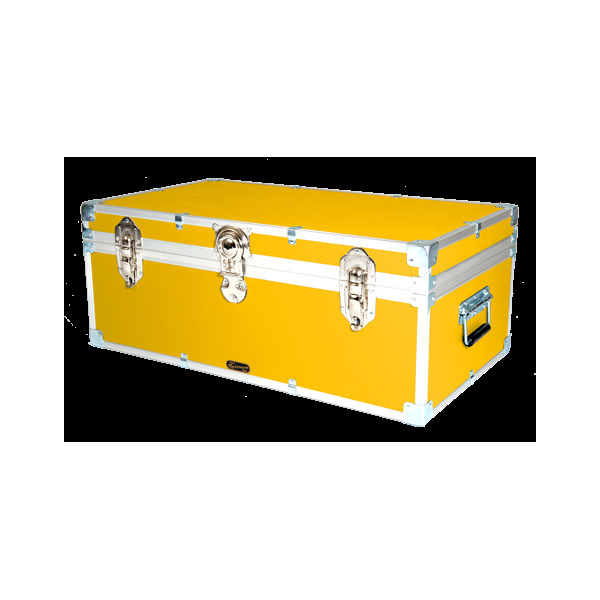 A double strength base and lid is recommend for trunks being used as coffee tables and trunks with a large surface area that may be sat or stood on.